Has been the way of massive communication among Latinos of: Hope, Nashville, Arkadelphia, Texarkana, De Queen, Magnolia, Hot Springs, Malvern, Glenwood and surrounding areas for over 15 years. Religion, Education, Cultural, Family, Entrepreneurship, Tradition, Community and more are matters we encourage and support by co-sponsoring the expense of paid advertising. With your paid advertising, everybody gets it! 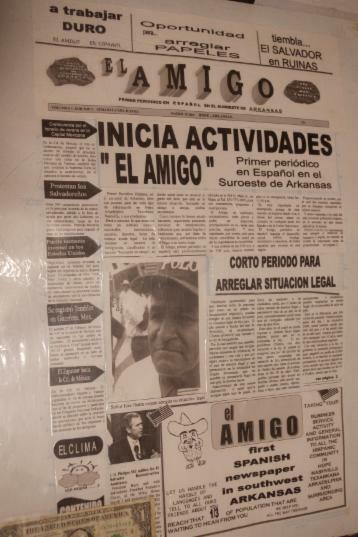 Community, School, City, Political and any other local source of news and information are translated to Spanish every week, printed at our local pressroom in Nashville AR. and distributed on Thursdays. Don’t be just a spectator. There are many subjects we need to write print and distribute for which resources are needed.